Wednesday evening’s Full Cold Moon was the last of three back-to-back supermoons of 2016. The winter moon energy of softening, retreating, and going inward is a particularly powerful time to send loving energy into the core of our female bodies. 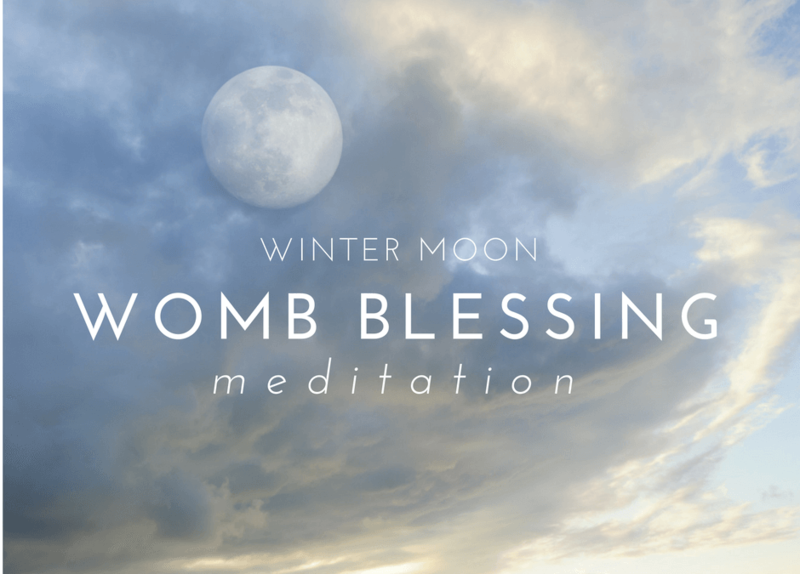 As a certified Moon Mother trained by Miranda Gray, I wanted to take the opportunity of this full moon to tailor a special meditation practice around receiving this healing Womb Blessing energy. Ancient tradition regards the full moon as a particularly powerful time for meditation, energy practice, and inner work. Luckily the full moon energy stays with us for three more days, so if you weren’t able to take a moment out of your schedule to join me live on Facebook the night of December 14th, you can still take advantage of my supermoon Womb Blessing meditation! Harnessing the moon’s energy in the womb space is a powerful practice, especially if you are trying to conceive. I have created a unique new program called Lunar Conception, where I will guide you in connecting to the moon’s powerful effect on peak fertility. In this program I will teach you how to uncover your second fertile time by calculating your natal fertile lunar phase, learn how to shift ovulation to maximize your fertile window, and much more! Plus, for a limited time you will have access to BOTH Lunar Conception AND my Moon Charting Mastery program together, for a discounted rate. There is fertile magic in our female connection with the moon. Let my Lunar Conception training show you how to harness it. Sign up HERE, and discover the divine fertile magic of the moon!